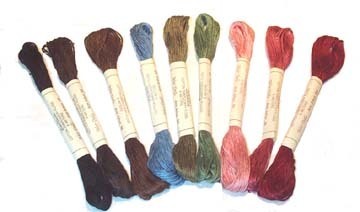 Nine 8 meter skeins of six strand cotton embroidery floss in eye and mouth colors. 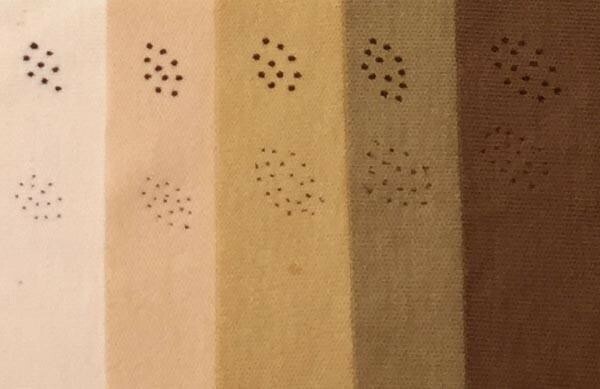 COLORS: BLACK, DARK BROWN, BROWN, BLUE, HAZEL, GREEN, PINK, ROSE, and WINE. 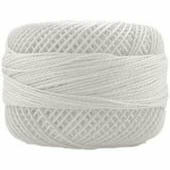 Metrosene brand 100% cotton fine quality sewing thread to match our regular and organic knit doll skin fabric. 150 meter spools. NOTE: The blush color is a shade darker than the fabric. Gutermann brand all purpose sewing thread to match our dollskin colors. 110 meter spools, polyester. Color match for blush is good. Extra strong, thick thread in colors that will blend with our doll skin colors. 30 meter spools. This string is very strong yet thin enough to thread in a needle for sewing, stringing button-jointed dolls and shaping the doll head. 100% extra-long staple Egyptian cotton, mercerized for strength. 10 gram ball, approximately 87 yards. Doll Jointing Buttons -- 1/2"
Clear backer buttons for button jointing dolls. Pack of four buttons will complete one doll. 5/8" for 16" dolls, 1/2" for 12" dolls. 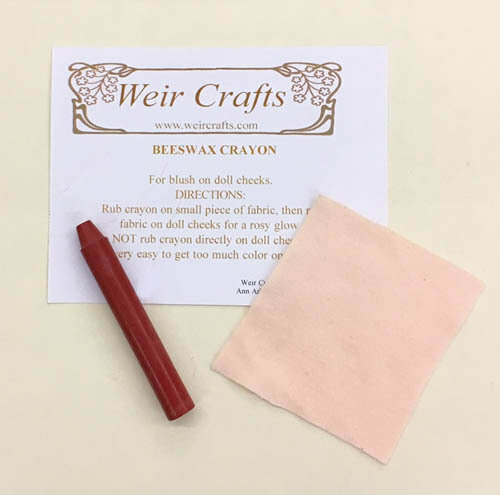 Doll Jointing Buttons -- 5/8"
FIlana Organic beeswax crayon for coloring doll cheeks a rosy blush. Comes with cloth: rub crayon onto cloth, then use cloth to apply coloring to doll cheeks. These high quality crayons are made in small batches in the USA and are free of paraffin or petroleum waxes. Technical Pens for precision freckle making. Unlike watercolor pencils, which smear when damp, these pens are water resistant to keep freckles from running. the wider point 05 pen, making the heavier freckles shown on our various doll skin colors. Fine point 005 pen makes smaller freckles.